Ever wanted to experience what it's really like to run a startup? That's exactly what our BrandPreneur program is designed to provide. 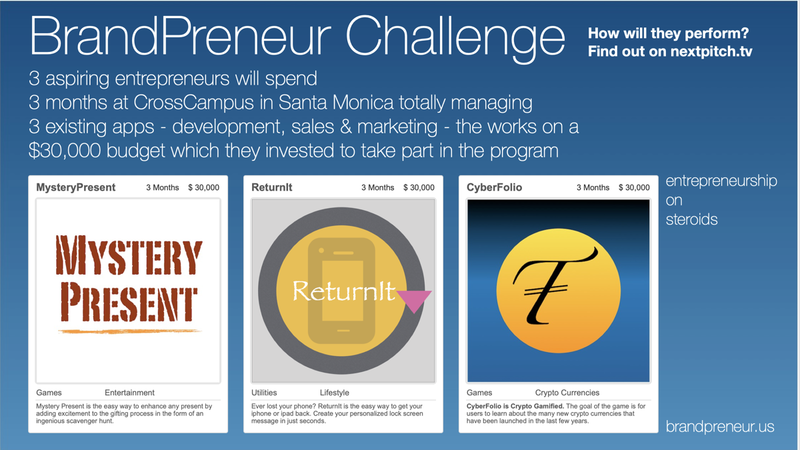 We select 3 aspiring entrepreneurs who take on the complete brand management of one of 3 existing apps for 3 months. Sign-up to attend our orientation meeting at Cross Campus in Santa Monica. We will be pitching the program at the SMNT (Santa Monica New Tech) pitching event at WeWork in Santa Monica. We are at the dawn of a whole new era when it comes to the funding of innovative but unproven startups. Since the implementation of Reg. CF of the JOBS Act (Jumpstart Our Business Startups) on May 16th. 2016 the crowd can now invest in promising startups for the first time since 1934. Previously this was reserved exclusively for qualified investors. Naturally such investments are by their very nature highly risky since the crowd is placing bets on unproven startups. But it also brings us back to the earliest era of capitalism where the investor really cared about the companies they invested in and wanted to see them succeed not just for the financial returns. 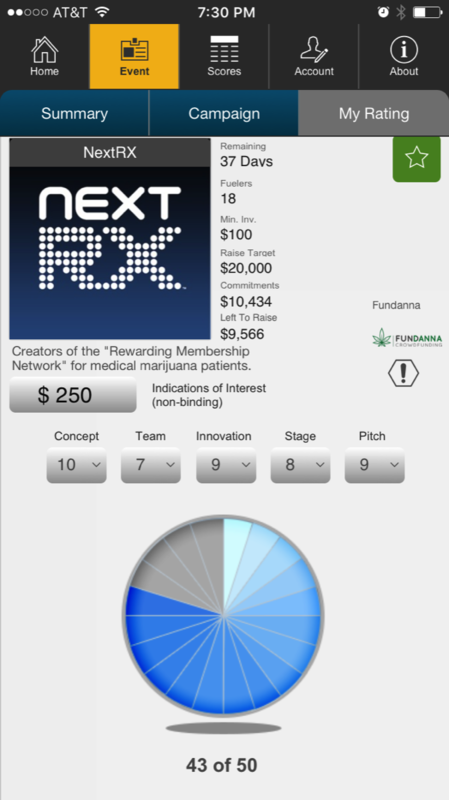 NextPitch is dedicated to creating the next generation pitching events where the crowd gets to rate and fuel listings that catch their interest. 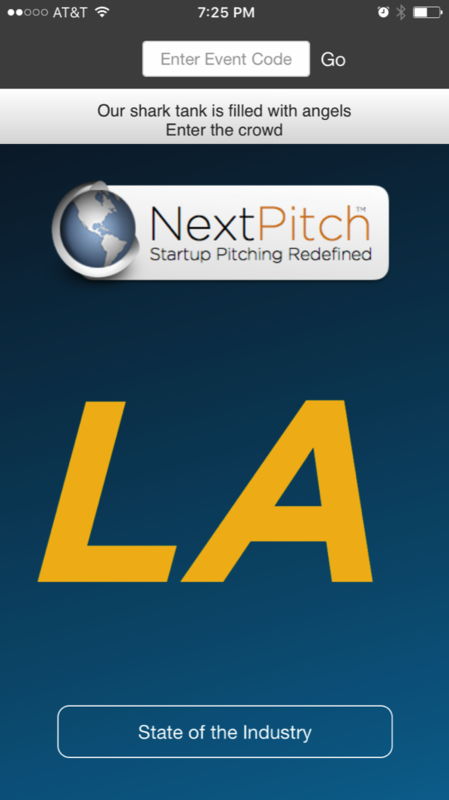 Every attendee gets a personal access code to the free NextPitchLA app through which they rate and - if sufficiently inspired - support campaigns. 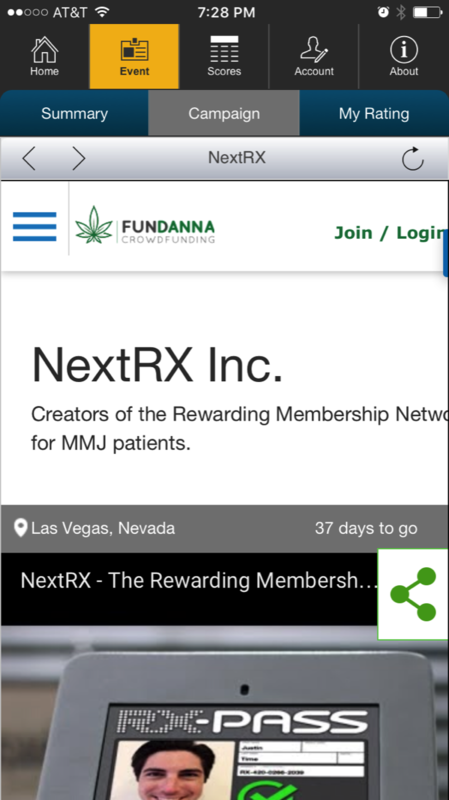 The Summary page provides all of the key information about the startup such as how much they are raising, what equity they are offering etc. 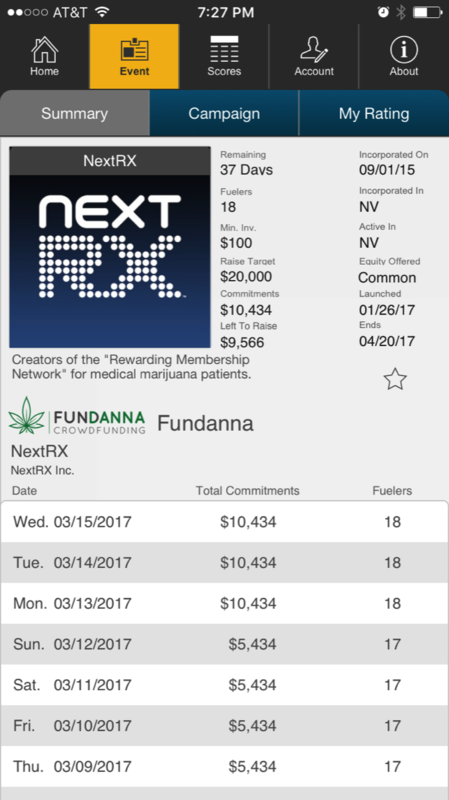 The Campaign tab is a live link to the campaign on the platform. It provides full information and a link to the campaign video. Attendees can rate campaigns using our custom designed rating system. You decide what factors you think are most important. The fun starts when attendees make (non-binding) indications of interest which are combined to determine the winner of the event.